Revolution Fitness & Training has been around since October 2005. We were at our first location (860 Canal St. Stamford CT 06902) for 7 years and we have been at 579 Pacific Street, Stamford CT 06992 for 4 years. 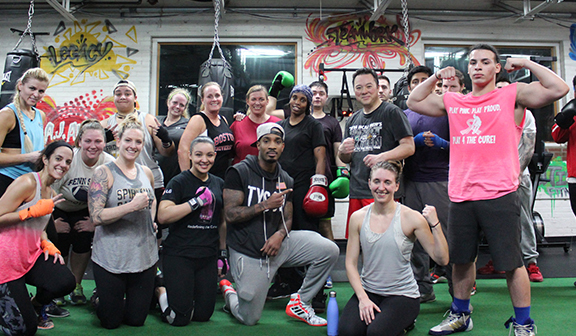 Revolution Fitness & Training is a fully equipped fitness studio that specializes in boxing and personal training. We teach the sport of boxing in a safe, exciting and fun way. Our classes range from: Boxing 101, Power Boxing, Boxing Boot Camps, Pink Punch and group Strength Training. Revolution Fitness and Training also specializes in Private and Semi Private Personal Training. Our Professional Boxing Coaches and Nationally Certified Personal Trainers specializes in everything from: Sports specific training, Functional Training, Weight Loss, Strength Training, Boxing etc…… THE GYM is a funky, eclectic, cool, safe, unique and clean space. The first thing you notice about RFT is casual comfortable vibe. The second thing you will notice is how everyone is like family and how supportive and caring everyone is. of fitness training is sought after by not only professional athletes, but those who know the value of having expert coaching in their daily lives. 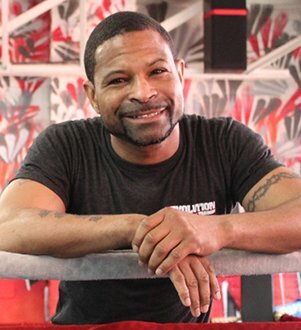 boxing coach and father of two requires he limit his personal clientele to a select few. If you are interested in personally working with Ahmad; please contact his administrative assistant for his availability. Samad is a Master Trainer with over 19 years of experience as a Fitness Instructor. 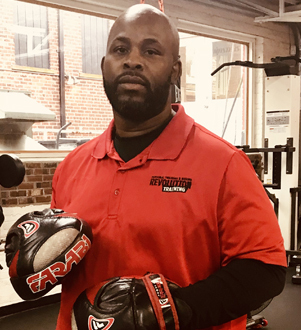 Over the years Samad has earned a number of certifications in a variety of fitness and combative disciplines which include but are not limited to (NASM), CrossFit and The S.P.E.A.R. System. Samad’s ability to listen and understand his clients needs enables him to effectively design fitness and training programs aimed at ensuring his clients realize their goals and the quality of life they seek. Key goals for Samad’s clients are developing fitness programs that effectively challenge the client physical and mental ability which produces physical and mental toughness as they are key components which are important in every aspect of daily living. The key focus of Samad’s programing is proper technique and execution of exercises, Samad believes that proper exercise progression must be built from a strong foundation. 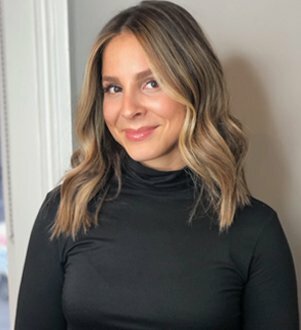 Samad is very passionate about improving the emotional health, survivor-ability, as well as the physical and mental well-being of each of his clients. Samad believes strength doesn’t come from what you can do; it comes from overcoming the things you once thought you couldn’t. 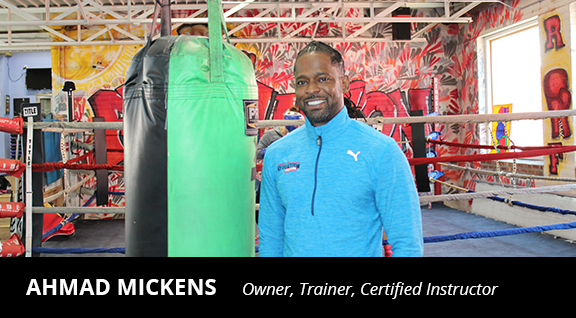 Victor James has over 25yrs experience in the Boxing industry and currently he is a USA Boxing judge and referee. 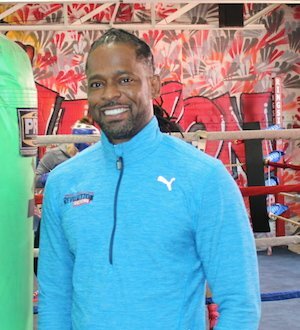 He has 5 Western New England Golden Glove titles to his name and has worked in Westover Job Corp as the Leisure Time Manager training kids of age 14-18. He teaches and runs our RF Youth Boxing Program and RF Summer Camp. Vic graduated out of Springfield College with a BA in Sports Medicine. 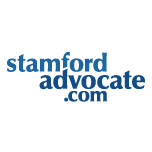 He also is the Head Trainer at K2 Advisors in Stamford. Shakha Moore holds his certification as a personal trainer from the American Aerobic Association International. Shak has been boxing since the age of 11 holding several Golden Glove titles. 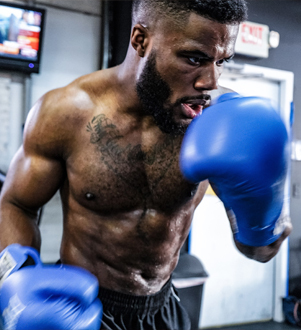 As a professional fighter he has participated in camps with Champion level boxers such as Danny Garcia and Roy Jones Jr. Shak provides exciting workouts for his dedicated clients, incorporating his professional expertise in Boxing. He works with clients of all ages always making it fun, innovative, and life changing. Whether it is a personal training session or one of his group classes he is there to help you reach your fitness goals! Chordale Booker is a USA National Champion and New York Daily News Golden Glove Champion. 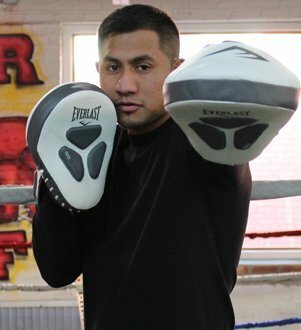 He is an undefeated professional boxer and an Olympic Trials Bronze Medalist. Chordale specializes in boxing for all ages. Whether it’s a one-on-one or a group session you’ll be sure to take away the sweet science of boxing training with Chordale. I began my fitness journey when I joined Revolution Training 5 years ago. I was immediately drawn to the family-like environment and was introduced to a new style of fitness through the variety of classes that are offered such as boxing, boot camp and strength training. If I wasn’t motivated to workout, I knew that attending one of the classes would give me the push I needed. I’ve always had a passion for helping people and luckily I was offered an opportunity to teach an all women’s strength training class. My class offers women of all fitness levels a way to challenge themselves, reach their goals and have fun! As of February 2019, I will also be a certified Yoga Instructor. An Undefeated Professional Boxer. Im a Passionate Personal Fitness Trainer adept at making workouts fun and rewarding. 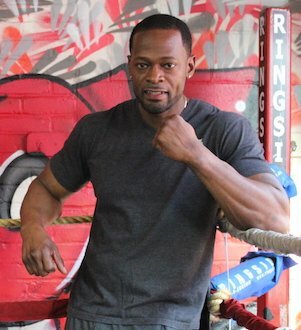 Im Experienced in instructing clients on Boxing techniques and educating clients on proper coordination and Balance, as well as extreme fat burning. I provide instruction for one-on-one sessions, buddy sessions, and group training classes.